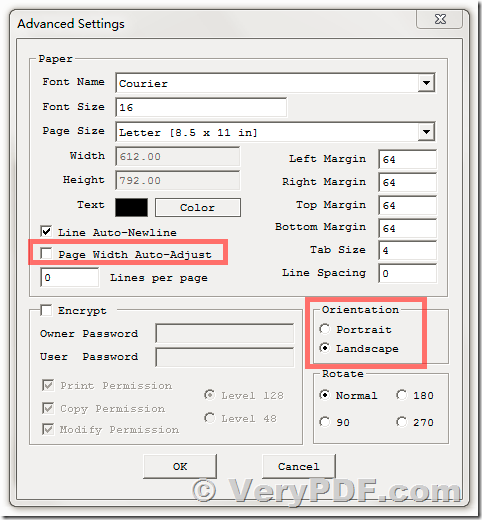 ← How to remove duplicate fonts from a PDF file? The advanced settings will not remain changed when I alter the values to process a file. Example, the Orientation is Landscape and I want to change it to Portrait but it will not stay changed. Please look at attached screenshot, could you select these options to try again? The attached screen shot shows the current settings and any changes that I make are not saved. Thanks. We apologize for any inconvenience this may have caused to you, we suggest you may run Text to PDF Converter by administrator privilege to try again, Text to PDF Converter will able to remember your settings if it has administrator privilege, please give it a try. This entry was posted in Text to PDF Converter and tagged text to PDF. Bookmark the permalink.